Costa Rica was our first visit to Central America. It’s very easy to get to from the East Coast and very affordable. There’s a lot to do so we spent 7 days in Costa Rica exploring La Fortuna and Manuel Antonio. This gave us a chance to see the rain forest and volcano as well as experience the many beaches of the country. 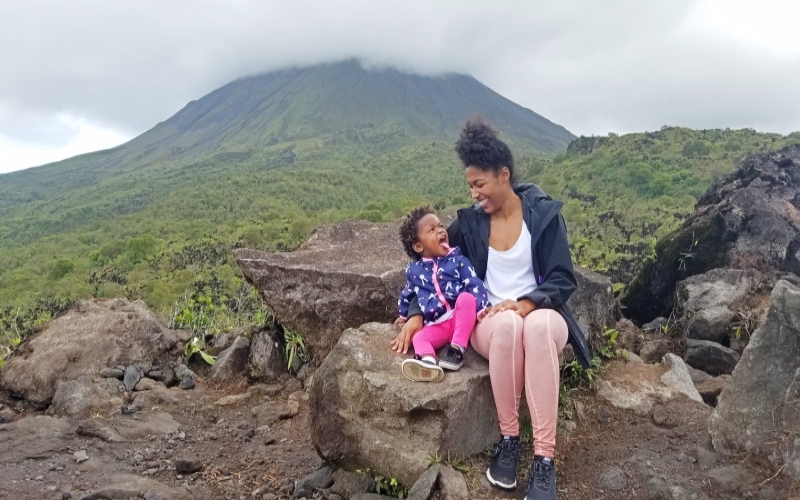 Here’s our 7 day itinerary exploring Costa Rica with kids. As always price was a major factor in deciding where we wanted to go for our first family trip of 2018. We ended up finding a flight deal to Costa Rica on Spirit Airlines so that’s how we decided on a destination. Now I know what you’re thinking, you chose Spirit? If you asked me 5 years ago if I’d ever fly Spirit Airlines I’d tell you no. However, as our family has gone from buying 2 to 3 and now 4 plane tickets reality hits and savings talk. Spirit Airlines flight was $229 cheaper per person than the next airline and those were savings we couldn’t ignore. They have also made significant improvements in their on-time status and our flight going to Costa Rica landed just 15 minutes late while our return flight home landed 27 minutes early. We had new aircrafts both flights with polite and helpful flight attendants so Spirit is just fine in my book. 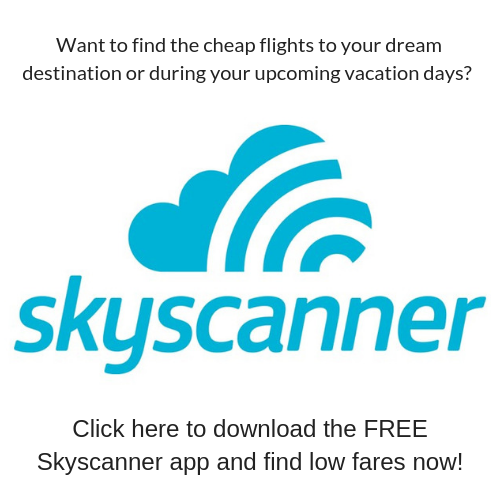 I learned a lot of tricks for flying Spirit Airlines such as how to avoid paying for a bag, how to save $152 for a family of four by purchasing your tickets at the airport and more that you can read here. We went to Costa Rica in February during President’s Day. 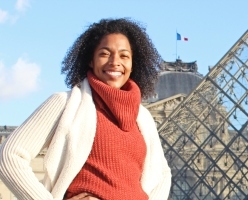 Including paid holidays in our travels allows us to travel frequently with full-time jobs. Visiting Costa Rica in February meant it was during their dry season, the best time to visit. 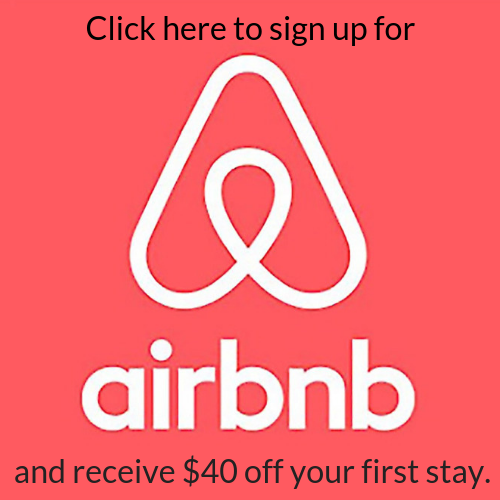 This does mean accommodations book quickly so be sure not to wait too long to find a place. We flew into San Jose airport but would be heading to La Fortuna. 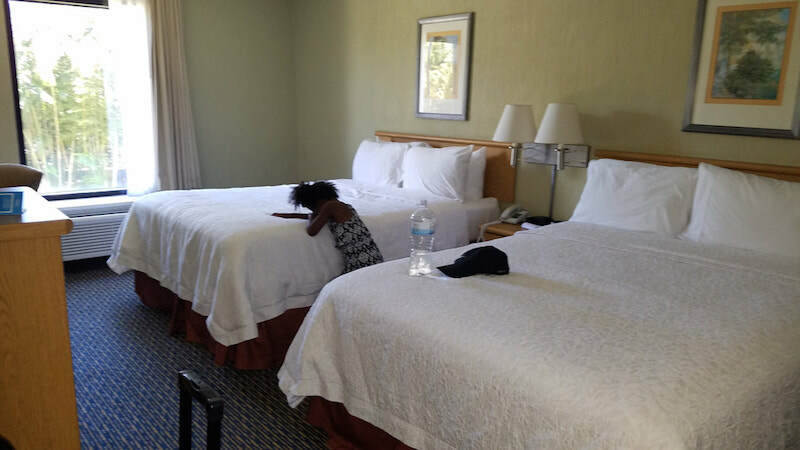 As it’s a 3 hour drive from San Jose we chose to stay overnight since our flight landed at 11PM. We best hotel near San Jose airport is the Hampton Inn & Suites. Just 2 minutes from the airport, they provide a free shuttle 24hrs a day making it very easy to get there. While it’s not a 5 star hotel it’s still the the best hotel in the area and it was very clean. 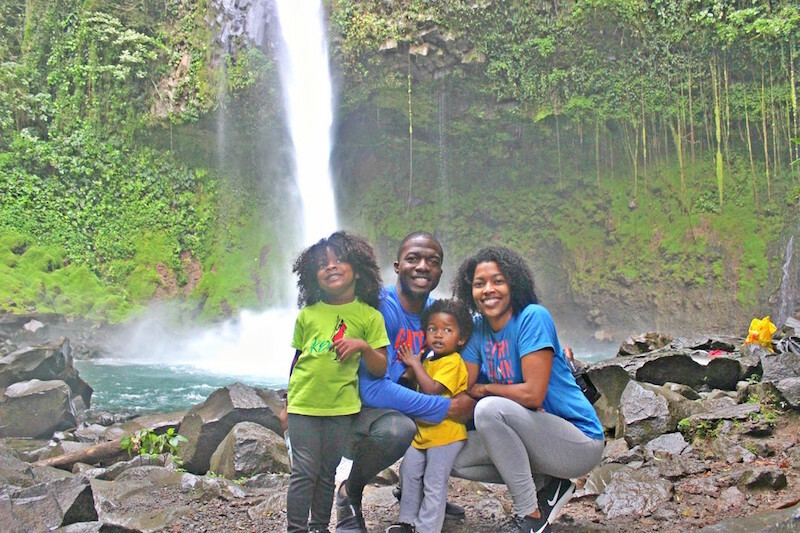 We kicked off our 7 days in Costa Rica by making the 3-hour drive to La Fortuna from San Jose. The Hampton Inn & Suites includes a hot breakfast from 6-10AM, which we enjoyed before departing at 9AM. Right on time at 2:20PM our driver Minor and tour guide Carlos from RainForest Explorers picked us up. On the drive over Carlos gave us a history lesson on the Arenal Volcano and spoke to us about the previous eruptions. He gave us the option of hiking the lava trail from the 1968 eruption, hiking through the jungle with the possibility of seeing wildlife such as monkeys, or hiking both. We decided to do both as they seemed to be very different trials. Jordyn looking through the telescope at the animals in the trees. The Lava Trail includes a few stairs and when you get to the top it is extremely windy so be sure to wear your rain jacket/wind breaker. We used the carrier for Kennedy but Jordyn walked by herself. There are some slippery parts as it always rains at some point throughout the day so we sure to hold your child’s hand when going up and down the stairs. If you have two toddlers and are traveling alone it might be a little difficult to hold both of their hands. The view from the top is gorgeous! 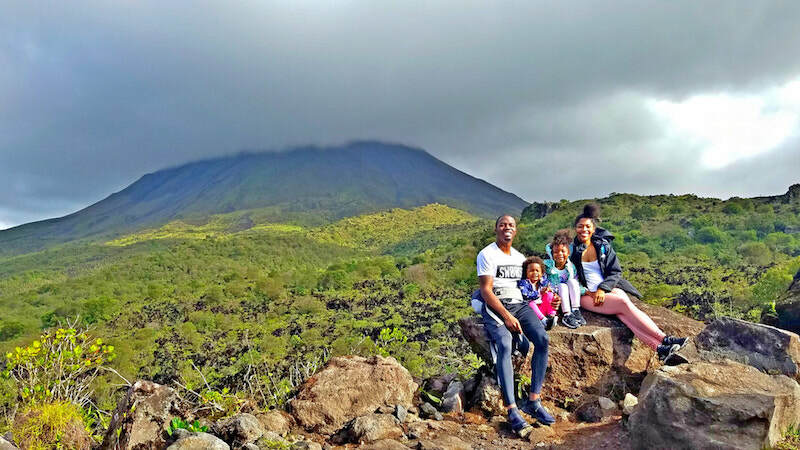 It is definitely possible to do these hikes on your own but it was nice to have the guide to tell us about the history of the volcano and spot out the animals with his telescope. With that said I don’t think the the tour was worth the fee of $70pp (kids free), more around $40. However, all the other tour companies charge the same amount and we didn’t request a private tour but we were the only ones while the other tour companies we saw had groups of 15+ people on their tours and they all charge the same price. 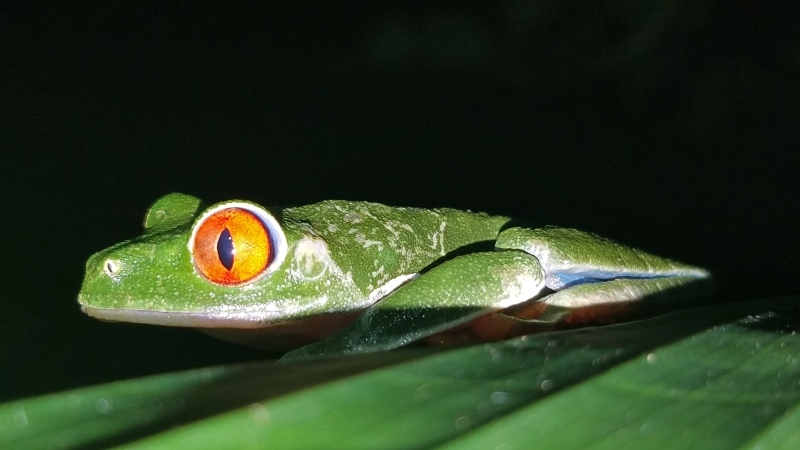 RainForest Explorers is ran by a local Costa Rican family, not a large cooperation and the guides were extremely professional and experts on the area. After the Volcano Tour we decided from the walk and flight the night before that we wanted to relax. I had researched the best hot springs before we got there and chose Baldi Springs. 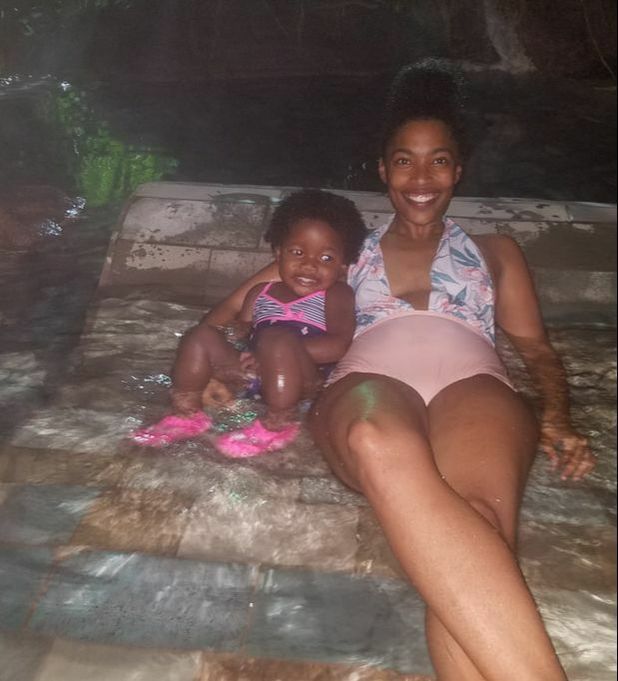 Tabacon Hot Springs came highly recommended but their website while saying it allows kids the tone in which they spoke about how to handle your kids while their turned me off. Plus while kids are welcome in every pool at Baldi Springs they had an area specifically for their little visitors, Baldi Kids. The Baldi Kids area has a little water park for even the smallest kids as well as a water slide for bigger kids. Since I wasn’t sure how we’d feel after our late flight and then our hike I didn’t buy the Baldi Passes in advance and I’m sure happy we didn’t. Our RainForest Explorers guide told us it’s actually cheaper to get your ticket from a re-seller in town than paying directly at Baldi Springs. We paid $45 for entry plus the dinner while the website states $57. The dinner was buffet style and I wasn’t a fan at all, didn’t feel like it was worth the extra money as we could have eaten off property for cheaper and ordered a la carte with better food. The place was beautiful and they hot springs ranged in temperature from warm to extremely hot. There were also water slides for adults and waterfalls you can sit under and basically get a free massage. They are open from 9AM-10PM so you can get your money’s worth even if you come later in the evening like us. 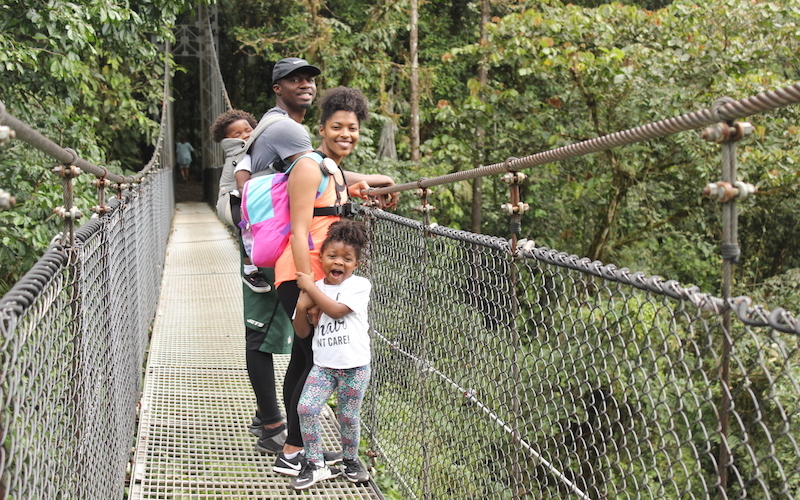 We started our 2nd day visiting Mistico Hanging Bridges Park. It’s the furthest attraction from Downtown La Fortuna and the taxi cost us $23 to get there (we negotiated this price before getting in). Since it was peak season and I read they limit the amount of people who can enter at any given time I made a 10AM reservation. We decided to do a self-guided tour instead of with a tour guide ($26 vs $38 per adult, kids under 6 are free) and we are glad we did. We were able to go at our own pace which was essential to me as I am extremely terrified of heights and it took me about 20 mins to get over the first bridge. There are also 16 bridges and after going over two we were satisfied so we were able to take the short cut to the exit (we still went over 2 more bridges with the short-cut) and end the tour when we wanted to without inconveniencing anyone else. We were still able to see the monkeys and when a guide from another tour was using his telescope to view a sloth he invited us over to see even though we weren’t with his group. We ate lunch at the restaurant on site and while the food was more expensive than the family restaurants we’d been eating at, the food was better. If you’re leaving by taxi like we were know the taxi’s take 20mins to arrive so call one a little before you are ready. Our taxi back was metered and it cost $30, vs. the $23 it cost us to get there. You can get transportation included in your ticket but as we were 3 adults splitting the cost it was cheaper getting there on our own. There are also amazing views of the volcano from here, you just have to pray the it’s not a cloudy day. 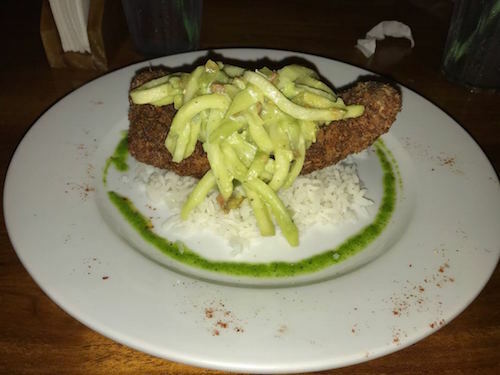 Our original plan was to head to La Fortuna Waterfall after the tour but our Airbnb host set up a traditional Costa Rican Food Demonstration for us at 4PM at a local restaurant and we didn’t want to feel rushed so we went back to our Airbnb and relaxed a bit until our taxi who our host also scheduled for us arrived at 3:45PM. The cooking demonstration was at the Arenal Ecolodge Hotels Restaurant with their chef Dani. We would be making tortillas, picadillo, rice and beans, and coffee. He was so good with the kids, helping them make their tortillas and even showing Jordyn how to cut the potatoes. This was definitely a demonstration and not a full cooking class so we didn’t make everything but helped with a few things and watched everything else. It was perfect for the kids attention span and we still learned a lot. Plus for $5 for the adults and no charge for the kids who could complain! You can contact Jose Daniel Cordero to set up your own cooking demonstration at jdrojascordero@gmail.com. After our demonstration and dinner we did the Night Walk Tour at the same hotel. 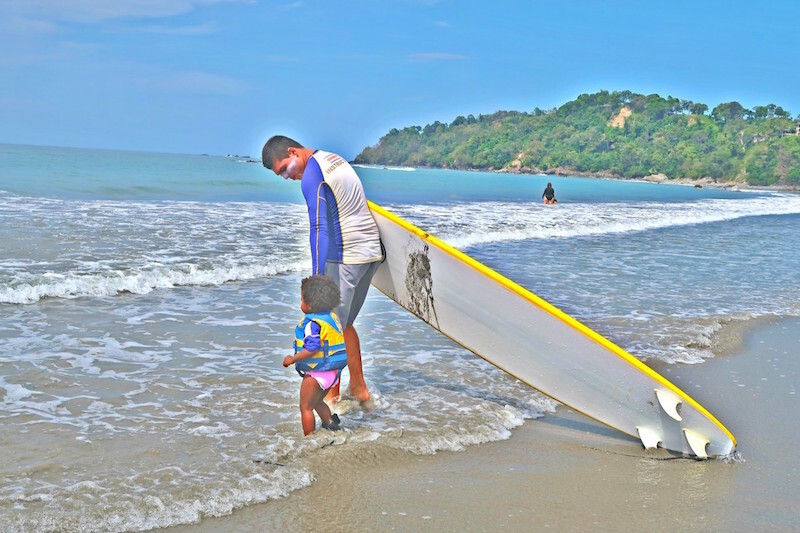 If you’re traveling to Costa Rica with kids this is a must! The tour was $40 for adults and kids under 6 were free. We didn’t request or pay for a private tour for we got our own guide which our guide told us they do there for all families as they know sometimes kids can’t make it through the whole tour. Our tour lasted 2.5hrs and we only went through half of the trail. There isn’t that much walking involved, more it takes a while to find the nocturnal animals as it’s pitch black and you only have your flashlights while your guide searches for them with their bare eyes. When Jordyn said she was ready to go we took the short cut back but before our tour ended we saw banana spiders, red-eye frogs, one of the largest toads I’ve ever seen in life, swimming frogs and more. I took the picture below with my cell phone, I have a Samsung Galaxy S7. Everything happens for a reason and I’m glad our visit to La Fortuna Waterfall got pushed back until today. We saw plenty of tours to come here but decided to do it on our own and I believe a tour guide would be a waste of money. I always pack snacks (granola bars, almonds, etc.) so we ate those for breakfast on the 10-minute drive to the waterfall. We were the only ones there which worked out great, there are 500 stairs to go down and only one way up and down so it was great not having to push through or wait for people to pass as I’m sure it is once it gets crowded. We were also able to have the place to ourselves as the next guests didn’t arrive until 8:30AM. Don’t be discouraged by the 500 stairs, it took us about 10 minutes to get down and 25 minutes to get back up and Jordyn walked the entire way on her own. There are two areas you can swim at the falls, the pool the falls comes down into and an area around the bend where the falls water turns into a stream. The pool is rough as there is so much water coming down so fast, I wouldn’t recommend swimming here with kids at all. However, the other side is extremely calm and there are plenty of fish to view even if you don’t get in. Next we had our Chocolate Tour with Don Olivo at 10AM, which we arrived to at 9:30. The tour was not what I expected but it was one of our top 3 tours of the trip. It includes a complete walk through of the plantation when you learn about different fruits and plants and get to try them. We tasted papaya, pineapples, star apples, leche, and made and drank fresh sugarcane juice in addition to learning about the process of how chocolate is made. Our guide Minor was extremely interactive with the group and great with the kids. I also loved that this tour was owned and operated by a local Costa Rican family. The tour lasts 2 hours and there was never a dull moment. After picking up food from a local family owned restaurant, known as sodas, we ate and rested at our Airbnb. At 3PM we had our zip-line tour at Arenal Ecoglide Park. I probably spent the most research on choosing an zip-line company as I wanted both of the kids to be able to participate but most importantly wanted a reputable company that has high safety measures. 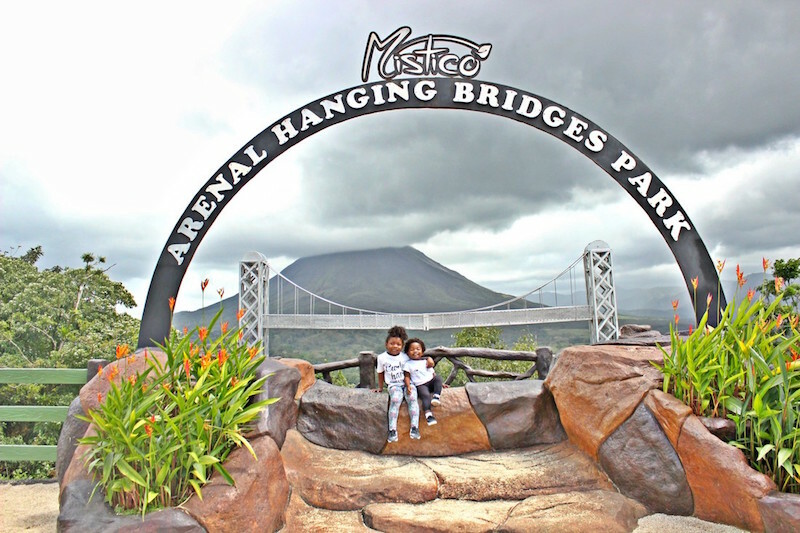 When I finally found Arenal Ecoglide and read the reviews of other families who visited with their young kids I knew it was the perfect place for us. They allow kids to go starting at age 2 but they will have to go with a guide, not with you. You start the tour doing a safety run on a short, extremely low zip-line. This was perfect for me as I was extremely terrified of doing this and it allowed me to determine if I even wanted to continue. They were also able to see if it was possible for Jordyn to go on her own or if she would need to go with a guide based on if her weight would carry her down the line as well as determining if she would follow directions and how she’d react when going down the line. Arenal Ecoglide has 13 lines and the tour lasts about 2 hours. We ended up being the only ones during our time slot but we still had 3 guides. If you’re like me and unsure of zip-lining you can exit after the 4th or 7th zip-line. I’m proud to say I completed all 13 but I did go tandem with the guide after the 1st line because I was too terrified to continue alone. Jordyn completed about 7 of the lines alone and the rest with a guide because the lines were too long for her to go alone. 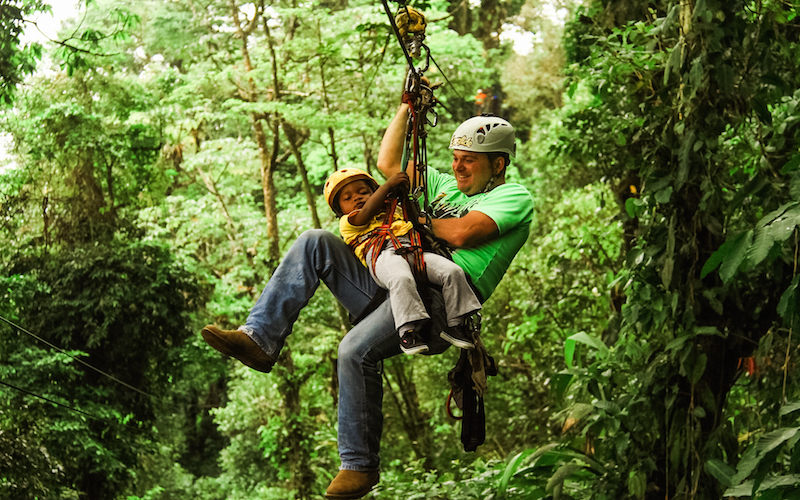 Below is my two year Kennedy zip-lining with one of our guides. In addition to the zip-lines after the 7th line there is the option to participate in the Tarzan Swing. There is no additional fee for this but all the adults were too scared to go meanwhile Jordyn really wanted to. She changed her mind midway through the swing but even her “I’m scared” is milder than my screams down the zip-lines. One of the guides takes photos and videos of you the entire time and you can purchase at the end. For a family of 4 the package is $35 and for 5 it would be $40. We received 283 pictures and 17 videos (the photos and video above are from the guide except the first video of Kennedy on the practice zip-line). You can also rent a GoPro to use during the tour for $35 and you keep the sim card at the end. It was nice to be able to capture our day without ruining our experience by us having to record and take pictures. Below is a summary of our day with videos they took of us. We woke up early to drive to Manuel Antonio, which took us 5 hours including 2 stops. One of the stops was to see the infamous river filled with tons of crocodiles, which many people we met spoke about. In Manuel Antonio we also rented a home, this time through Manuel Antonio Estates, a gated community with many rental homes. 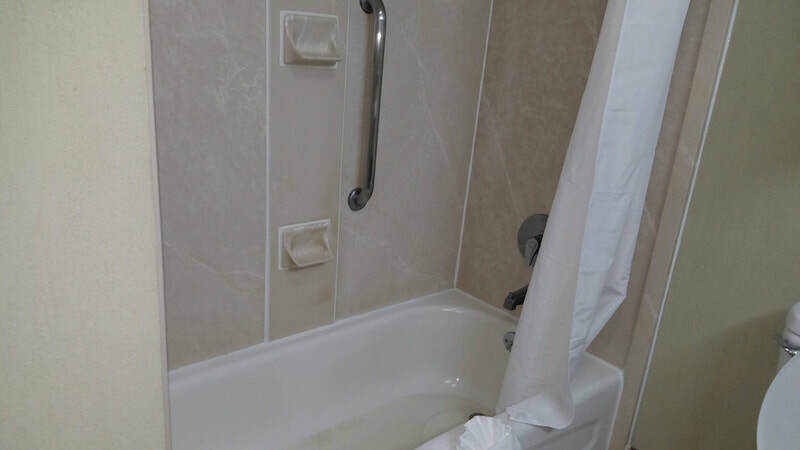 Since we booked the trip 3 weeks before going and it was peak season there were not many options left and we were pleased to find the Macaw House, a 2 bedroom, 2.5 bath home with a pool at a decent price. The management was responsive before our stay and helped set-up our Manuel Antonio tour as well as ordering a cake to be delivered for Kennedy’s birthday. On first glance everything was fine however once taking a closer look we wished we would of stayed elsewhere. The house wasn’t the cleanest, including a dirty faucet, old furniture, and stained towels. 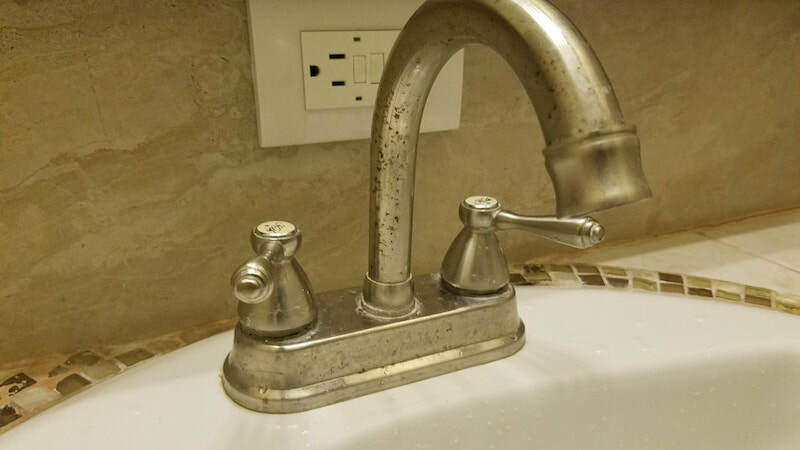 In addition to this the water pressure in the shower was too low to even wash our hair and there were a lot of bugs all over the place, the 2nd night my friend found one in her bed. Based on the price of $200/night we expected a lot more and we would not choose to stay here again in the future. 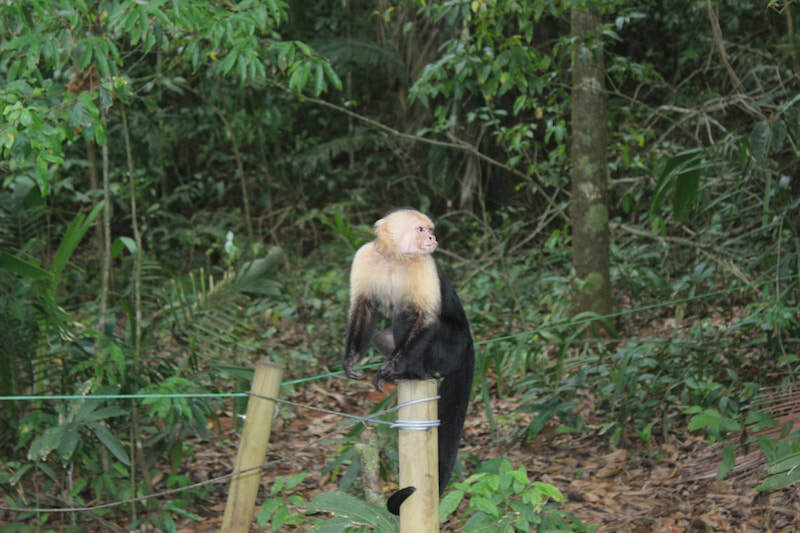 After settling in we took a tour of Manuel Antonio National Park. The tour was $140 for 3 adults, the kids were free and it included transportation. The park costs $16 to enter and a taxi probably would have been about $30 round trip. 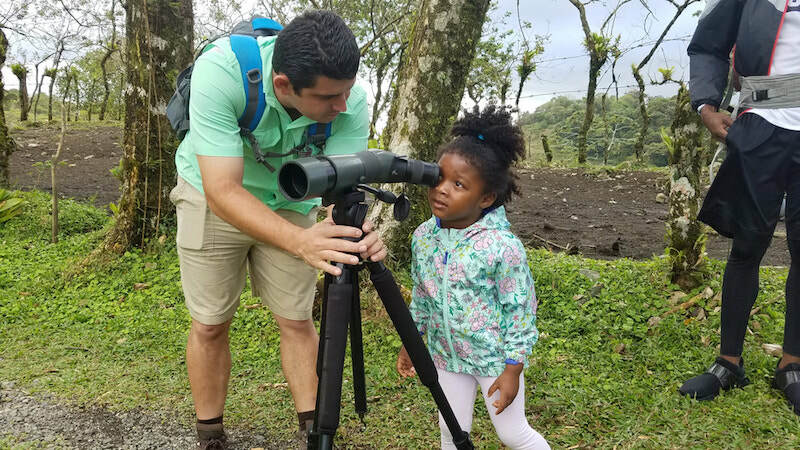 To me the only thing the guide provides is the telescope to see some of the smaller animals like the sleeping bats, sleeping red-eye frog and sloths we saw. Other than that you can see the monkeys with your naked eye and follow the path to the beach on your own. As we already saw these animals in La Fortuna we could have skipped the guided tour and explored on our own saying us some money. 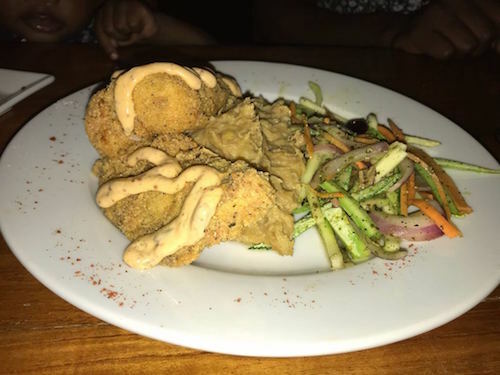 Our tour guide and our neighbor both recommended Agua Azul for dinner for there beautiful sunset and good seafood. The view was gorgeous and the food was some of the best we had the entire trip. Today was Kennedy’s birthday and we had a full day planned. 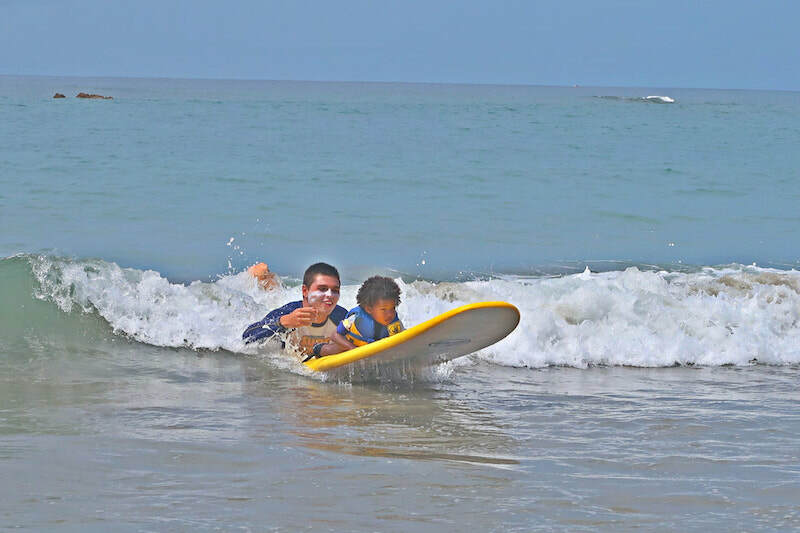 We started the day with a 3-hour surf lesson and were picked up by Blue Horizon Surf & Trips at 9AM for this. When I called to set-up the lessons I wasn’t sure how much the girls would be able to do but Diego assured me it would be ok and we would all enjoy our time. Our lesson was with us plus another group of 4. We took the initial land lesson together but once in the water we each had our own instructor. Diego set it up for the girls to share an instructor but only one of the girls with him at a time. While one was in the water Diego had another employee to watch the other. They played near the shore with whichever one wasn’t taking a lesson so we could see both of them at all times and felt comfortable allowing us to enjoy our lesson. Half way through the lesson when we felt comfortable they were allowed to ride on our board with us. I wasn’t expecting this part and it was a real treat and we all had an amazing time. When our lesson was over Diego said he had a little something for Kennedy. He had gotten her a birthday cake and had the entire team and other guests sing to her and cut her cake. I had mentioned on the phone it would be her birthday but never would I have imagined that he would remember or go so far out of his way to do something special for her. We considered two other surf schools and I am so happy we ended up choosing Blue Horizon. The lessons were $70 per person but they only charged $70 total for both kids. 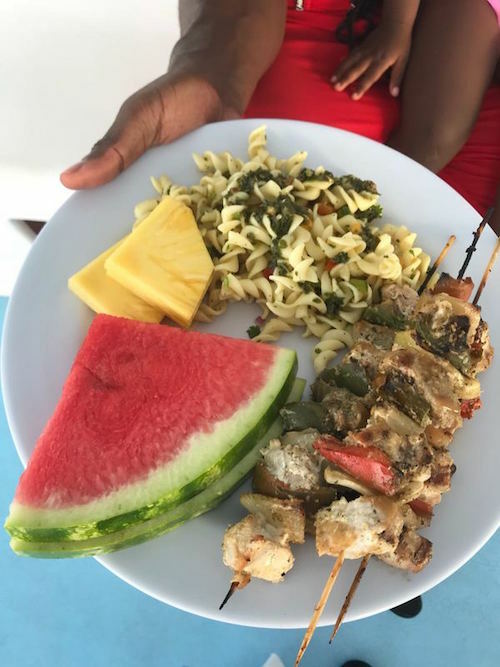 Even if the kids weren’t able to participate the $70 was well worth the cost for my husband and I to be able to fully enjoy our lesson while having the girls looked after where we could see them and were comfortable with how they were being treated. After our surf lessons relaxed a bit at our rental home until being picked up for our 2PM sunset cruise with Planet Dolphin. We chose Planet Dolphin based on the size of their boat and activities available. When we arrived to the marina we were so happy we chose them over some of the other options and the boat was not cramped at all, we had two fun slides to enjoy, there was plenty of shade for those that wanted it as well as areas to lay out for those that wanted to tan. Here is a video of the catamaran so you can see how much space their is on catamaran even in peak season. Unfortunately we didn’t see any Dolphins on our cruise to the snorkeling spot but the music was good and we still enjoyed the scenery. Once we arrived to the snorkel spot Jordyn and I snorkeled for a bit and then we all took turns going down the slide. They have to heights but we chose the shorter one. I went down first and then Jordyn went down. When James took her out of the water he then let Kennedy go down and I did then I took her out of the water. Here’s James, Kennedy, and Jordyn going down the slide! You can also jump off the 2nd level of the boat into the water. We didn’t get a chance to do this but many guests did. Afterwards dinner was served, fish on kabobs, pasta, and fruit. It was buffet style and there was more than enough food for people to get seconds if they wanted. The captain knew it was Kennedy’s birthday (her swimsuit gave it away) and he had the guests all sign her Happy Birthday. When we were finished a group of guests then sang to her in Spanish. Everyone made her feel so special and I’m not sure how we will top her 2nd Birthday. For our last day in Manuel Antonio we took an all day tour with Paddle 9. We were picked up at 9AM to go stand-up paddle boarding in the ocean. We paddle boarded for about 45 minutes. Be sure to wear water shoes as you have to walk down an extremely rocky path to get to the boards. After we finished paddle boarding we started our waterfall portion of the tour. Our first stop was to a waterfall they call the appetizer. You can jump off an 8ft or higher 16ft cliff here. After the first waterfall we went to a beach where we spent 45 minutes. While the water isn’t crystal clear it is clean and it was very warm. Before we left the beach they took our order for lunch, you have the option of fish or chicken and for kids they had chicken fingers (real fresh chicken) and fries. We stopped by the 2nd waterfall while our lunch spot was preparing our food. At this waterfall you could actually swim inside of it. The water is freezing but it’s beautiful. Walking distance from the waterfall is where we had lunch at a farm and everything you eat except the rice is grown right there. After lunch it was time for the last waterfall, but was a waterfall or something else? This waterfall had a natural slide that you could go down. None of us were brave enough to try it but here’s a video of someone in our group that did. Did we mention our guides are professional divers? They ended the day showing off their skills. Check out their Instagram for a ton of video footage of the staff diving. They were also extremely helpful with the kids and helping us to navigate to each waterfall. We considered doing a beach day today but as we had been in the water the past 3 days and had to check out by 12PM with no public area to shower after checking out at our accommodations we decided to head to San Jose and check it out. I read there were three museums worth visiting, The National Museum, Gold Museum, and the National Theater. After checking back in to the Hampton Inn & Suites we headed into the city. The National Museum was actually closed on Mondays (don’t be like me and always look up opening/closing times) so we went to the Gold Museum. I was highly disappointed in it and besides learning that Costa Rica prints their bills in various sizes so that the visually impaired can tell the denominations (such a good idea) they are carrying we didn’t really find it too interesting for $12pp. We decided to skip the National Theater and went to City Mall (5mins from our hotel) to watch Black Panther!! They have a Cinemark Theater here and play movies in both English (with Spanish subtitles) and Spanish (with English subtitles). It was our last day but we had one more adventure. Even though we don’t drink coffee we couldn’t leave Costa Rica without doing a coffee tour. Britt Coffee Tour is just 20 minutes from the airport so it’s best to do this tour when you land and are going to another city or on your way back before going to the airport. We took the classic tour which lasted 1.5hr and was $25 for adults. The two tour guides were funny and made the tour interactive. You get to try most of the coffee they offer throughout the tour so if you want to purchase some you will definitely know your favorite. I brought some coffee back for my mom, aunt, and coworkers and it was very affordable to do so. We decided to split our time in Costa Rica between La Fortuna and Manuel Antonio. We visited La Fortuna first which is a 3hr from Juan Santamaria International Airport in San Jose. After 3 days in La Fortuna we traveled to Manuel Antonio which was a 5hr drive. From Manuel Antonio we went back to San Jose for our departure, a 2.5hr drive. While Costa Rica has really nice roads we read they were windy and could be tight in some places and you need to be careful going around the mountains as there are many blind spots. These factors in addition to having an early departure the day we would be making the 5 hour drive we decided it would be best to book transfers from each destination especially since realistically my husband would end up doing all the driving. After reading a ton of reviews we decided on booking with Morpho Vans. They were very responsive, answered all 1 million questions I had and provided car seats at no additional fee. They offer both shared and private transfers and each transfer includes up to 1 hour for stops if you want to grab something to eat or make a quick detour along the day. The shared transfer would be $54 per adult, the kids would be free and the private transfer came out to $580 total for transport to all 3 cities. There were 3 adults as my friend came with us so the split would be $193pp only $31 more per person over the shared transfer. Since we had the kids and the price wasn’t much of a difference we decided on a private transfer so we could dictate our departure times and stop whenever we wanted to. This worked out as we were able to push our departure time up 1 hour on one of the days super last minute due to a change with one of our tours. We got an 11-passenger van on all 3 transfers so us adults were able to spread out on the drives as well. Two of our vans were equipped with free WiFi. One important note is while Morpho Vans did provide car seats for each trip, the van we had on the last one did not have locking seat belts or the clips in between the seats so we were unable to install them. I read there weren’t many things to do in San Jose but I also read there were some great museums and since we were flying out of there I said why not spend a day. While we didn’t get to visit the National Museum as it’s closed on Mondays (should have looked that up), we did visit the second most recommended museum, the Gold Museum. 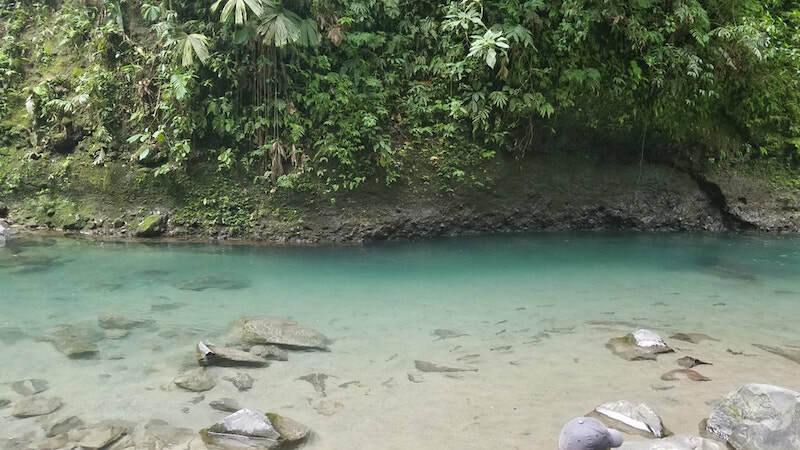 Honestly, I wasn’t impressed and if I could go back in time I would have did the coffee tour on the way to La Fortuna, spent an additional night in La Fortuna and then just left straight from Manuel Antonio to the airport Tuesday morning. At least staying in San Jose allowed us to see Black Panther (in English for the low), I’ll take that win! 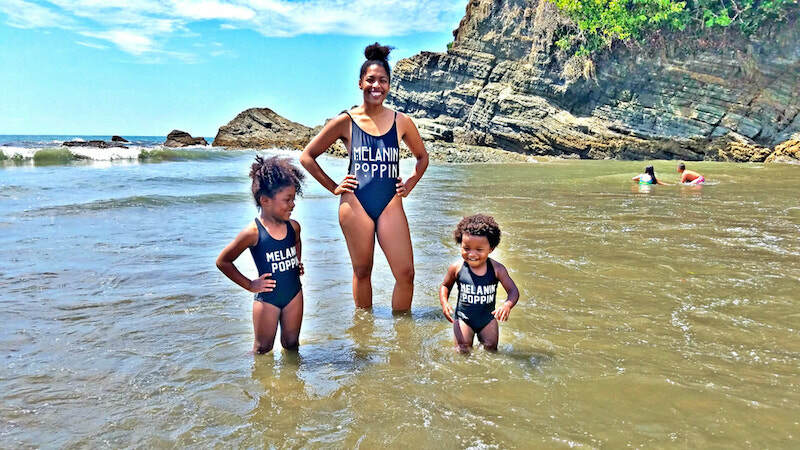 Did you find our itinerary helpful for traveling to Costa Rica with kids? Please share it! This helped so much! I’m currently planning a trip to Costa Rica right now.